Nothing can go wrong with such an amazing brand of organic skincare, cosmetics and hair range. 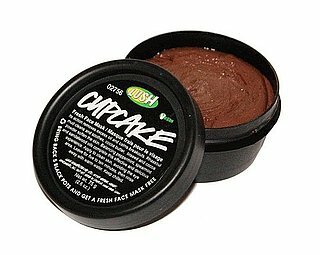 Lush Cupcake is in a Chocolate Flavour and is delicious for the skin. Preventing breakout and reducing redness, the face mask is also very clarifying. I’d recommend it for combination – oily skin only as the mask specifically deals with mildly problematic skin. Love love love the flavour and how it leaves my skin feeling. This looks so delicious even in the container! Is it just bad for normal skin? No it will work only with cleansing but will be indulgent nonetheless! This is the first and only fresh face mask that I have tried from Lush! I LOVE LOVE LOVE this face mask! I can’t actually say that it helped my acne – but it smelled amazing and I felt so ~fancy~ and indulgent slathering it on my face. Have you tried any other face masks from Lush? Hi, I love this one as well! No, I haven’t tried any other mask coz I usually make home made masks… If you have acne try a mask of organic honey with a table sp. of cinnamon… Keep it for 30 mins. Apply some steam and you will see a much cleared complexion. Ohh Cool. Thanks so much for the reblogg! Thank you so much… More coming up!